The government in Seychelles has solid beliefs that the recent investment policies will determine the positive direction of the business environment in this state. A modernized framework and the adoption of foreign practices to sustain the foreign investments are two of the new strategies which will be implemented by the government in Seychelles. The ease of doing business in the insular state will sustain the economic development in the country, according to the authorities. 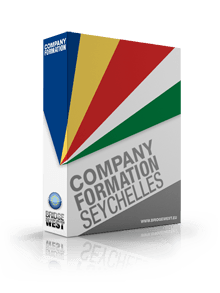 If you are an entrepreneur from abroad looking for setting up an offshore in Seychelles, we invite you to get in touch with our company incorporation agents in Seychelles. Sustaining the investment field in Seychelles by developing the free trade zones and by accepting innovation in a wide range of industries are important investment approaches which can sustain the trading sector, particularly the export field. Because Seychelles has limited resources, the archipelago relies on the import sector for many years. The balance is about to change if innovation and technology will be implemented in the trading sector, especially in the free trade areas to develop the connections and the collaboration with countries worldwide. Please feel free to contact our team of company incorporation agents in Seychelles if you are a foreign investor who wants to start a business in Seychelles. We can handle the entire procedure and we can help business persons activate in a fast manner on the market.